I’ve seen a bit of LSU football this year and this morning went to the TIVO to see if I had film. Unbelievably I didn’t, so as usual I resorted to stats. A name that will make any Dolphins fan shudder is Cam Cameron who took over the LSU Offence in 2013 but this should give us some hope that we drafted a WR who can play in the pro’s and most probably at slot in trips or as the inside WR in spread. The numbers below show that Coach Camerons pro style Offence benefited Mr Landry. The numbers that jump out to me are the increase in receptions and yards in the pro system. The primary WR in the LSU offence was Odell Beckham, who the Giants took in the 1st round with the 12th pick. Whilst his numbers also increased, as you’d expect, he had less catches, yards and TD’s than Mr Landry but his average was higher and I think he’ll be a good fit for the Giants. Really the point I am making is that in the Miami WR Core Mr Landry will more than likely have Mike Wallace and Brian Hartline outside him, as well as Rishard Mathhews not to mention Charles Clay at TE who will draw coverage which will allow him to open as a slot receiver. Not the most exciting pick but potentially a great fit for our system and needs. No danger of this being on the TIVO and whilst I don’t know the name I hope this pick works out. 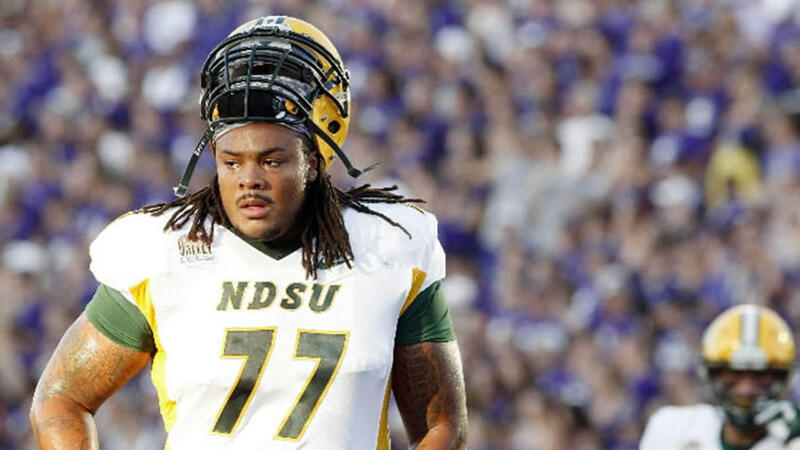 Lets not hit the panic button just yet – he played well at times in the Senior Bowl for a small school prospect. The fact he was invited to the Senior Bowl should say something. Most of the scouting reports I’ve seen says he struggles with kick and slide protection (this is where a OT is lined up on a DE or OLB and has to almost back pedal to the QB) and hasn’t really had much experience of zone based run offences. This makes me suspect we’ll move him to Guard. It’s a smaller area to move in and the blocks for the most part present themselves. Hopefully he can push John Jerry or replace him in the starting lineup.